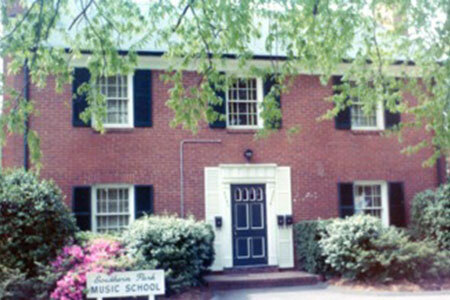 John Whitaker and Harold Nave founded Southern Park Music School in 1964. The school began with six students enrolled at a facility near Park Road Shopping Center. Southern Park relocated to 2838 Selwyn Avenue in 1968. John Whitaker became the sole owner in 1971. Michael Lehtinen joined the faculty as a piano instructor in 1995, and became the director in 2006, upon Mr. Whitaker's retirement. 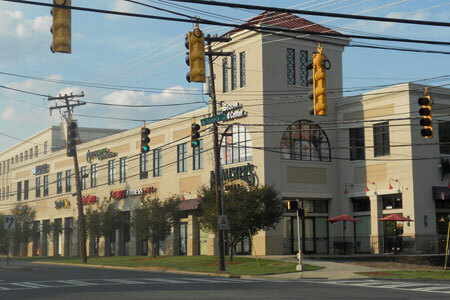 The Selwyn Avenue location was sold in 2006 as part of a neighborhood redevelopment project. Later that year, Southern Park returned to Park Road in a new building known as Seneca Commons. Since it was new construction, Dr. Lehtinen had the opportunity to custom design the space to fit the needs of a music school. There are eight studios and a beautiful recital hall, all designed with aural and visual needs in mind. There is also a lobby and an office, which houses an extensive music library. Architects, acousticians, engineers, and developers all contributed to create a wonderful space to house Southern Park Music School. Southern Park celebrated its 50th anniversary in 2014. We look back with pride, having provided music education to thousands of students, including some who have won prizes on the local, state, and national level, and some who have gone on to professional careers in music. We are also proud that since 1964, we have offered music lessons to all children, regardless of race or background. We continue to welcome all students. We look forward to the future as we continue to share the language of music with the next generation!